This plastic squirt gun or water pistol is about 4" long. Sold by the dozen in assorted neon colors, pulled randomly. 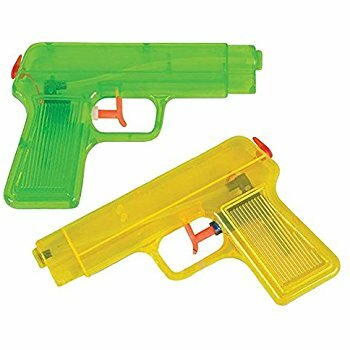 Price is for one dozen squirt guns.